I've reached a stage in my life when I'm really beginning to realise how important it is to make time for yourself. I have always been someone that will go above and beyond what is asked and simply does too much, every time. Until I've burnt out. I'm at a point where I won't take the time to make sure my nails are done, I won't put that extra effort into my make up or my outfit because I think what's the point? But the fact is, there is every point. There are certain steps that you need to take to make sure that you feel good about yourself. Whether that's because you've curled your hair today, your winged eyeliner looks spot on or if you're underwear matches... it really doesn't matter as long as you feel great. 1) Stop telling yourself that you're too busy This is so true because you will always make time for what is important to you. So you need to see yourself as important because you are! I often find myself coming up with excuses that I have no time because I've got to edit my blog photos, I've got ironing to do or general tidying of our house. I have a full time job as well so it isn't easy. But you need to make time! 2) Organisation is key This follows on from my previous point. It's important to keep yourself organised and on top of all of your tasks for that day or week, so you can make some room in your life for you. 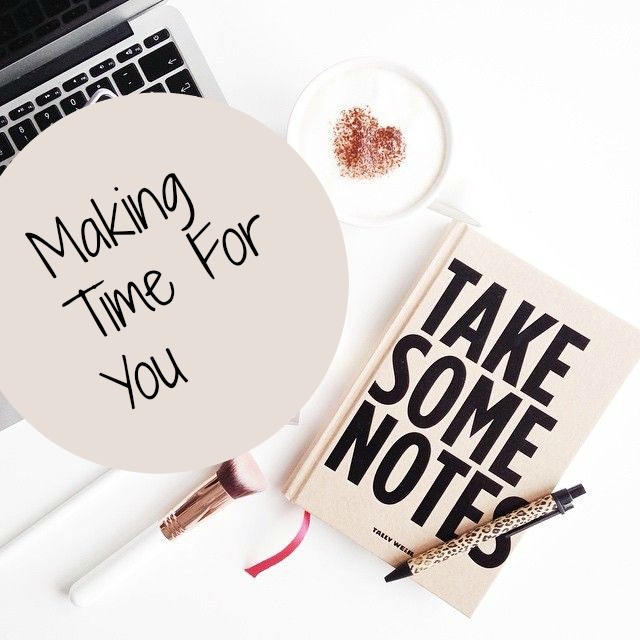 I have a weekly planner, and I have a different job to do on each day of the week, so everything gets done every week and there's time for other fun activities, like blogging! And making time for myself of course. 4) If something makes you feel good, keep doing it If I have put a little extra effort into my make up for that day, I instantly feel good for it and it's something I really enjoy doing as well. If I know that my make up looks good, I instantly feel twice as confident as I normally do - as crazy as that sounds but it's whatever works for you! 5) Say 'no' This is something that I have really struggled to get into the habit of, because I always say yes! I used to worry that people might not like me if I say no. But I've now come to realise that it doesn't really matter. If it's not helping you, then why do it? Unfortunately you do have to be selfish in life sometimes and taking on too much will only cause you stress and less time for yourself. Now I'm no expert at 'me time' but these are tips that are helping me get into the routine of making time for myself. It's not easy but it sure is worth your time! What is your top tip for making time for you?